Ridgeway, VA – It is equivalent to the Super Bowl or the Daytona 500 of Late Model Stock Car racing. Seventy plus teams from all over the region travel to the famous paper clip called Martinsville Speedway. The two-day event puts some of the best LMSC drivers on the same circuit for 300 laps, well technically at the most 250 laps depending if you got caught in the Last Chance Qualifier (LCQ). Little bit of changes were made to the qualifying procedure and how the front row was set. This year the top two drivers on the speed charts were locked into the main feature and would not have to compete in any of the heat races. There were three heat races with about 25 cars in each running 25 laps each, the top ten finishers made it into the main event. Positions 11 through 22 would have one last shot to make the event, with the top ten transferring over. The winners of the heat races were awarded the third, fourth and fifth spots with the line-up alternating down the line. Going into my rookie season of doing this the nerves were not as bad as I had originally thought covering an event like this would be. Of course I had your typical typos, minor dyslexia, and just complete freezes up but to my luck those were very limited. I will say the most difficult thing all day was trying to decipher some of these number changes. NASCAR was not allowing duplicate numbers so teams were using duct tape or vinyl to change their numbers and from up in the tower, they got pretty difficult to see specially if anything happened in turns three and four. 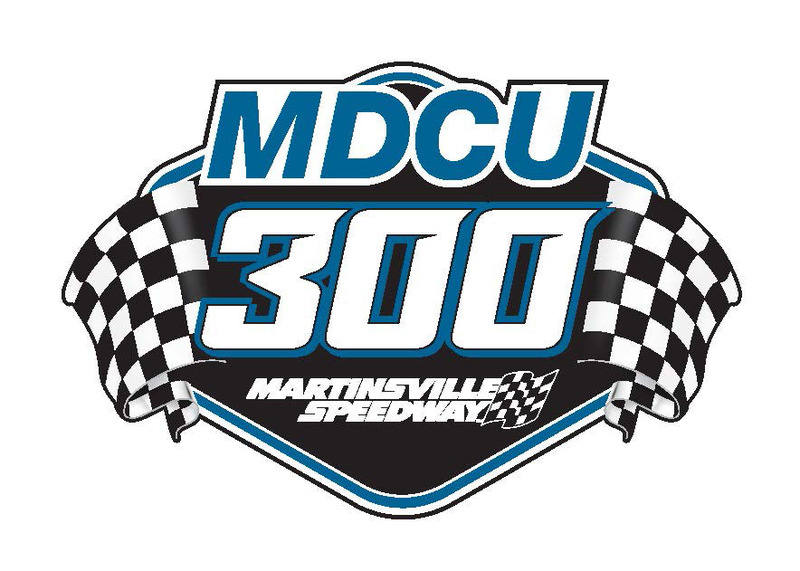 With the 42 car field now set and teams thrashing to get some of these cars halfway back together, we were ready to get the 2014 edition of the MDCU 300 underway. Two time NASCAR Whelen All-American Series National Champion had his number called for the second time in his career to come to victory lane and claim yet another grandfather clock. Of course it would not come without some kind of controversy, the same controversy that ended last years installment, just different players in this one. A Green-White-Checkered finish was set up after the competition caution with 10 laps to go awoken some kind of “Lets tear all our stuff up” demon as it has in the past. For me what makes this finish so questionable is the fact that I have talked to a few drivers now that have told me there was a restart zone, and others tell me there was just the line. That is a topic for a whole other discussion though! Either way, the two top qualifiers were there at the end even after falling back mid race, even after wrong adjustments, and even after a top nine invert at halftime. When the field came out of four and hit the “restart line/zone” it honestly looked like Sellers just did not go, and due to others dropping out after running out of fuel that is what immediately popped into my head. I was proven wrong, the 99 got back up to speed and hunting down Pulliam and dealing with last years winner Tommy Lemons, Jr on his outside. As the white flag was displayed and the field dove into one Sam Yarbourgh clipped the left rear of Sellers after thinking about going three wide, punting him up the track was clobbered by Another Anders (driver door) and Josh Berry (left front) almost at the same time. Because the field took the white flag already the race was declared finished and Lee Pulliam the victor. “He’s done that a lot,” Pulliam said speaking about the final restart. “I have raced him a lot and he plays games a lot on the restarts. I felt like I waited until we got to the line, and once I reached the line, I went. I knew he was going to try and pull something like that and get us in trouble on the restart but I knew I was in my spot when I got on the gas” Sam Yarburough, Tommy Lemons, Jr., BJ Mackey, and Mike Darne rounded out the top five. Sellers, who would end up being scored twelfth, was not available for the post race press conference as he was checked out in the infield care center. Anthony Anders, who had nowhere to go and slammed hard into Sellers was transported to a local hospital for further evaluation. Little side note while we are on the topic of Sellers. For the second straight year Peyton Sellers claimed the VA Triple Crown title (South Boston 3rd, Langley Speedway 4th, Martinsville 12th). Of the front-runners Sellers was actually one of the few drivers to compete in all three events this year. I would have to imagine Matt Bowling was the only one still running that was even close. Speaking of Mike Darne, talk about a stand out performance and being in the right place at the right time. Darne got a huge break at halftime when NASCAR inverted the top nine for the second half of the race. Inheriting the top spot for the second half of the race and contrary to most inverts, Darne took it with open arms and took off. Which was honestly great to see because let’s be honest in most inverts just create a mess and the slower car leading the field either gets torn to pieces or has a hand it starting the carnage. Looking back at the first half of the race Kas Grala pretty much had this one under control and would have won by a long shot if this race was 100 laps. At one point he had a half to three-quarter straightaway lead over the second place car. Some of the tights racing happened as Grala was putting cars like Anthony Anders a lap down. Even though the kid wasn’t around at the end due to some handling issues I have to give him a ton of credit! He didn’t even make my who to watch the week prior to this race, and he made me pay big time! 3. #27 Tommy Lemons, Jr.
33. #8 David Garbo, Jr.